Solina Records artists got three nominations in Emma-awards, the Finnish equivalent of Grammy Awards! 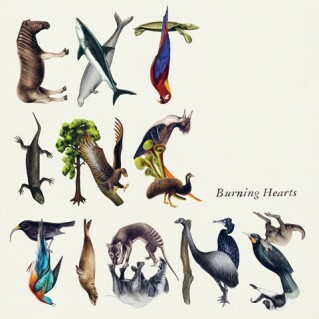 Burning Hearts have been nominated in two Emma categories, one for “Critics Choice of Album of The Year” for “Extinctions” and the award for the “Best Album Cover Art of the Year”! Burning Hearts´ “Into The Wilderness” was 6 weeks in B-rotation on the playlist of P6 BEAT in Danish national radio! Burning Hearts on Radio France with Julien Burgeois. Show can be also streamed on the page until 17.10.2012. Burning Hearts video premiere Under The Radar! Burning Hearts´”I lost my colour vision” featured today in comedy series “I Just Want My Pants Back” in Episode 11 on MTV USA.